There is something very special about a garden wedding ceremony. Exchanging your vows in the fresh air and radiant sunshine, surrounded by cascading trees and your closest family and friends. 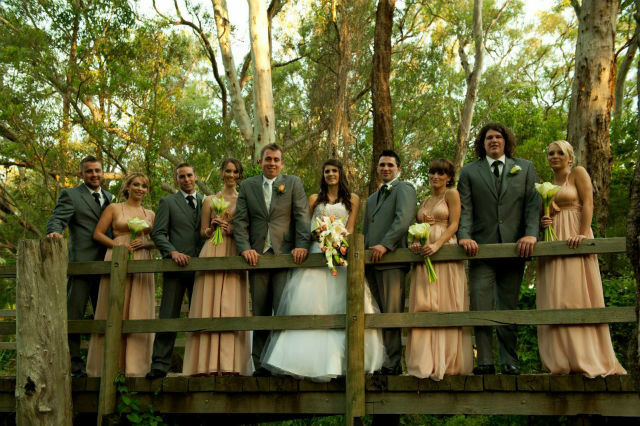 There are many beautiful garden wedding venues in Perth to choose from that will provide a stunning backdrop for your photographs. 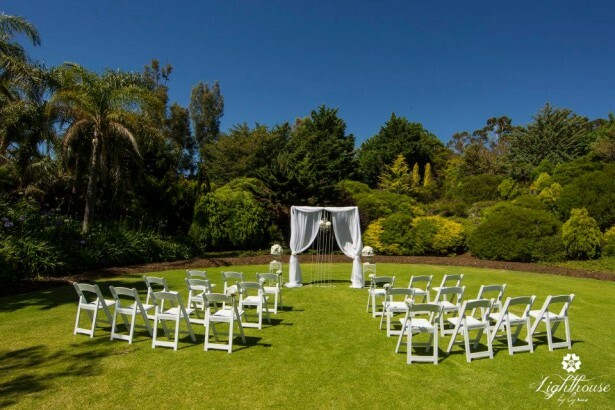 Here is a selection of garden wedding venues Perth has to offer, where you can have your garden ceremony and reception all in the same location. When meeting with your wedding coordinator at the venue, make sure they have a contingency plan in case of rain. 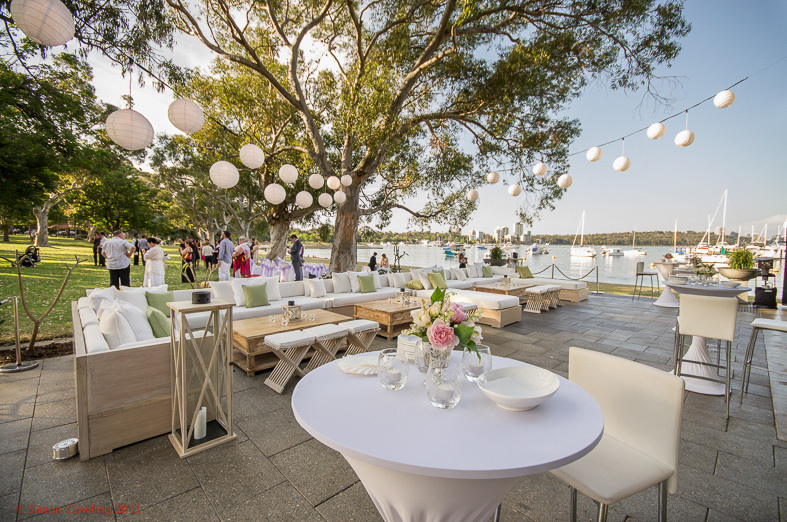 Situated on the banks of the Swan River, with panoramic views of the city, Matilda Bay offers beautiful outdoor ceremonies on the lawns overlooking the river. They have a choice of three function rooms for your reception and an alfresco area if you want to continue your outdoor wedding theme. Find out more about Matilda Bay. 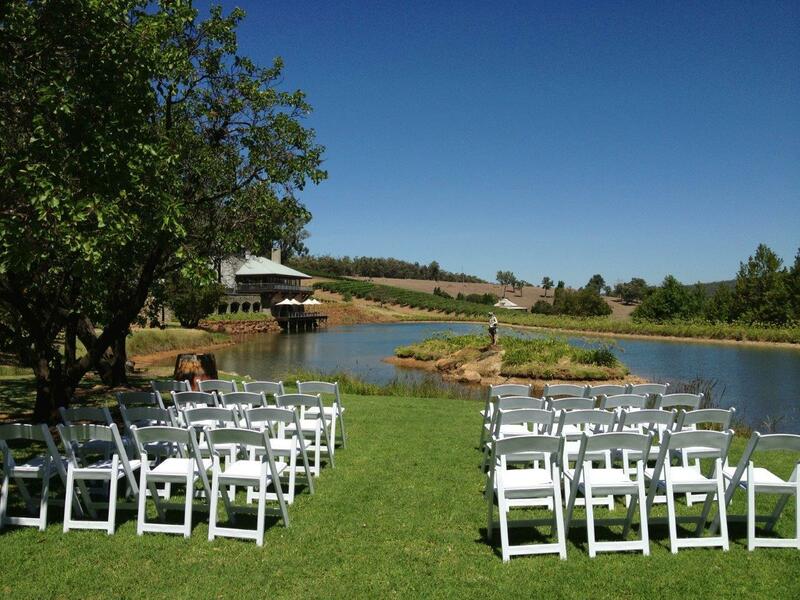 Situated in the Swan Valley, Carilley Estate is a unique garden wedding venue in Perth. Surrounded by acres of luscious vineyards and beautiful cottage gardens, the estate is perfect for garden weddings. Check date availability of Carilley Estate. 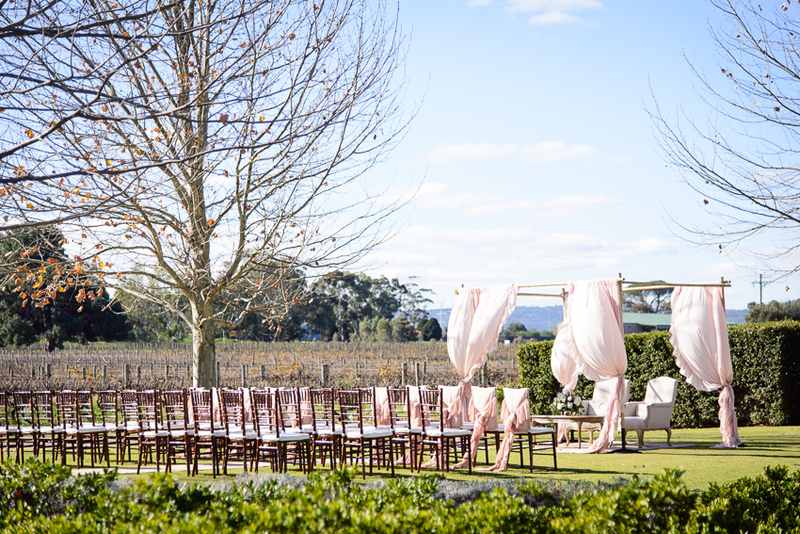 Located in the Swan Valley, Sandalford Wines has two beautifully appointed ceremony lawns, either surrounded by historic vines or overlooking the lake and vineyards. They also have a choice of magnificent rooms for your wedding reception. Check date availability at Sandalford Wines. A very popular venue for garden ceremonies, the University Club of Western Australia features some of the most spectacular gardens in Perth. 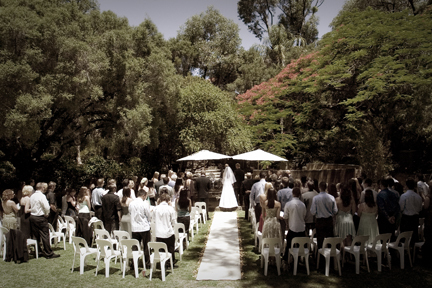 Their landscaped gardens and historic heritage listed buildings provide a stunning backdrop for ceremonies. Their function spaces are ideal for wedding receptions with lots of natural light and views over the river. Discover more about the University Club of Western Australia. One of the most versatile garden wedding venues Perth has to offer, Chapel Farm features a lakeside setting with landscaped gardens and native plants and rose bushes for your ceremony. For your reception you can choose from indoor, alfresco and lakeside dining options with a range of menus. 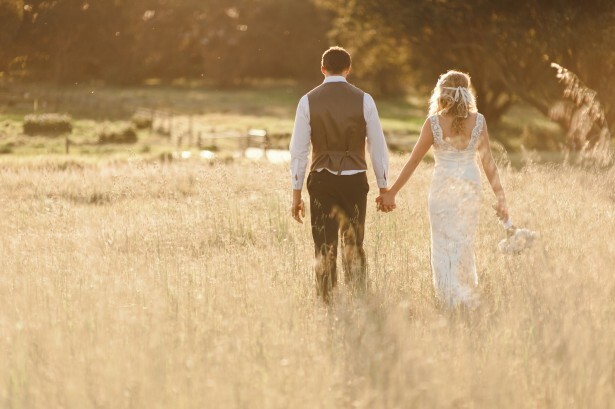 See if Chapel Farm is free for your big day. Set on the banks of the Swan River, Assured Ascot Quays offers a choice of flexible indoor and outdoor garden wedding venues. 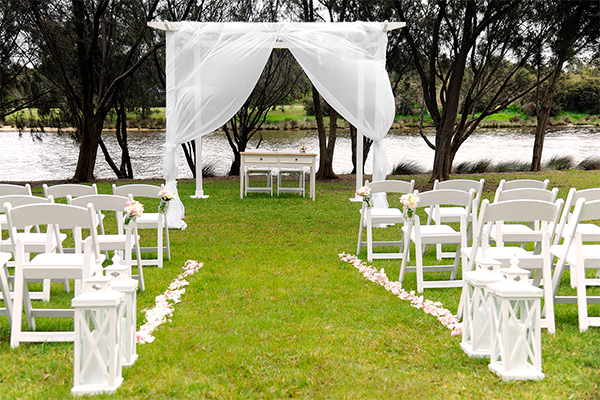 You could exchange your vows outside overlooking the beautiful Swan River and then have pre dinner drinks on the terrace. The terrace looks stunning in the evening when lit with fairy lights or lanterns. Find out more about Assured Ascot Quays Apartment Hotel. 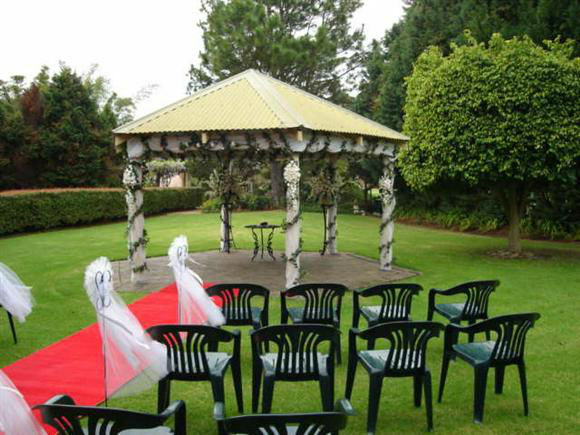 If it is a garden wedding venue you are looking for then Munja Gardens could be the one for you. Set in five acres of lush gardens and natural bushland, Munja Gardens has endless locations for fantastic photo opportunities. You can exchange your vows in the gardens but they also have a chapel if you would prefer an inside ceremony. See if Munja Gardens is free for your big day. Set in the historic town of Jarrahdale, less than an hour away from Perth, Millbrook Winery offers a beautiful tranquil garden wedding venue away from the hustle and bustle. Surrounded by jarrah forests and countryside views, their garden ceremonies take place by the lake and tree-lined walkways. Find out more about weddings at Millbrook Winery. 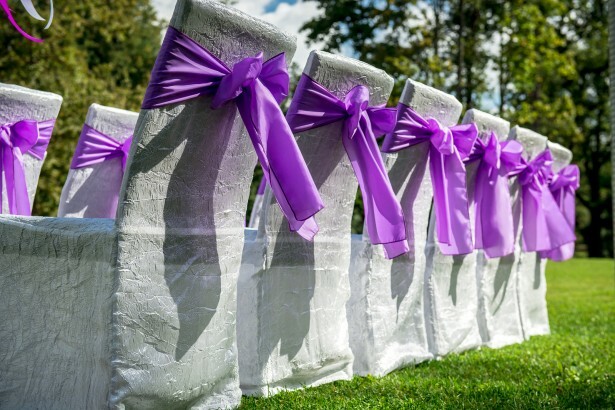 Family owned and run, the Willowpond Reception Centre is perfect for a garden wedding. Have your ceremony amongst the beautiful landscaped Japanese gardens, waterfalls and manmade lake. They also offer a choice of function rooms for your reception. See if the Willowpond Reception Centre is free for your wedding date. 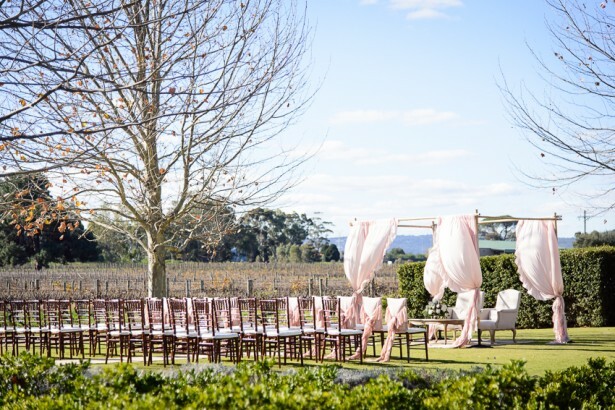 Situated in the Swan Valley wine region, Mullberry on Swan is one of the most picturesque garden wedding venues Perth has available. Think manicured gardens, gumtrees, lush vineyards and sprawling green lawns. Mullberry on Swan also has two bridal suites and a choice of reception rooms with gorgeous outlooks. Find out more about Mullberry on Swan. We hope we have helped narrow down your search with our list of garden wedding venues. 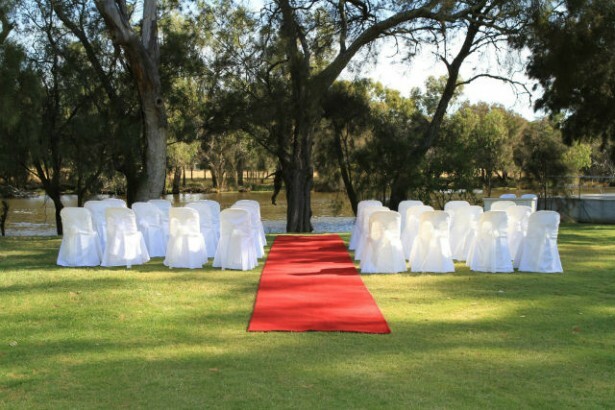 Perth has an array of beautiful venues so we know it can be hard to choose!